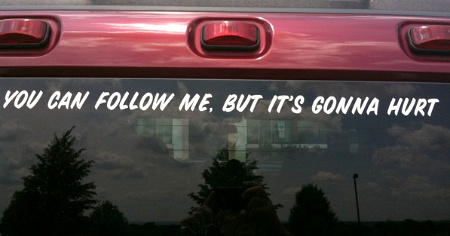 The rumors are swirling around that Google may be working on a Facebook killer (code-named Google Me). If they’re smart (and they are smart over there at Google), they’ll be designing something far more ambitious and far-reaching than the walled garden over at Facebook. We need an entirely new way to approach on-line networking. And Google already has a lot of the bits and pieces (Blogger, Voice, Buzz, Profiles, Gmail, Maps, commerce solutions, etc.) to pull it together. Google Me, meet Metamee. Make this and I’ll throw everything else out the window. How about it? Search engines (esp. Google) are ubiquitous. Search is critical to any communications strategy. But there’s one major problem with it. We want Find. Search is just the means to the end. If there is a person, a resource, a piece of information, a product out there, it’s a marvelous thing that now we can often get to it via search functions. But search isn’t what we want. We want the target we’re after. As some have put it, people don’t want a 3/4 inch drill – they want a hole (I would actually disagree – they don’t just want the hole, they want to hang a picture!). What if a trusted resource could FIND what we want, and deliver it to our doorstep? Saving you the time and effort of searching, vetting, evaluating, downloading, ordering, whatever? Wouldn’t that provide tremendous value in many cases, in a world increasingly drowning in “seachable” assets? Furthermore, what if that trusted resource was you? What if you were the go-to person who found what was needed and made it easier for others to get on with their real work? Just went to Wal-Mart to buy some replacement ink for my printer. I hate the prices, and I hate the thought that 90% of the price is the packaging. Thief-proofing, I know – but wasteful and environmentally unsound. Here’s what I’d love to find – a really high-quality third-party ink replacement company that would let me “subscribe” to having ink sent at regular intervals (or on-demand). In simple packages without the retail garbage surrounding it. I just enter in the printer(s) I have, make my first order, specify auto-ship or auto-remind intervals, and never run out of ink again. I’ve used third-party ink replacement companies before, but the interval between orders is so long, I often don’t even remember who I used. And, the quality can be spotty. I hate paying manufacturer’s ink pricing – give me reliability and cross the threshold of easy; you’d have all my business immediately. Game over. 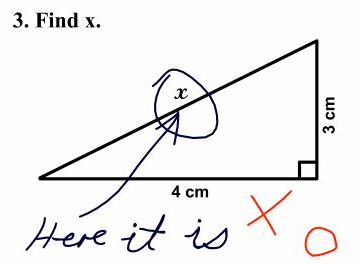 Plus, the simple principle could then be extended to other supplies. Anybody you know have something like this in place?? 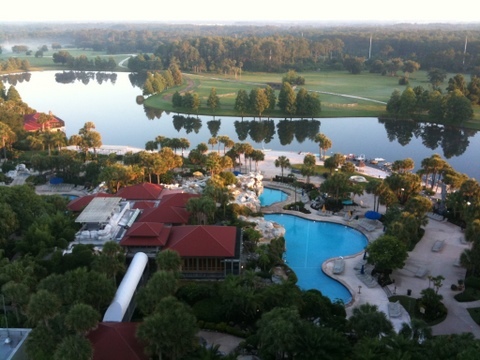 After a recent conference in Orlando, I had enough Hyatt points to book a night at the Hyatt Regency Grand Cypress (the conference was at Gaylord Palms, quite a nice destination itself). My wife and I had stayed there a couple years back, and we liked it then. We liked it even more this time. 2. Outstanding facilities. The resort is huge. 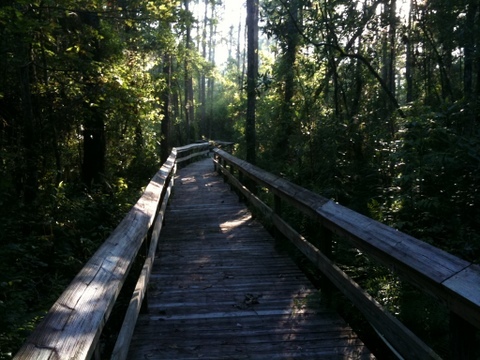 Not only is there a golf course there, but there are walking trails of up to 5 miles in length, with very pleasant variety (including a boardwalk loop through a swamp area). 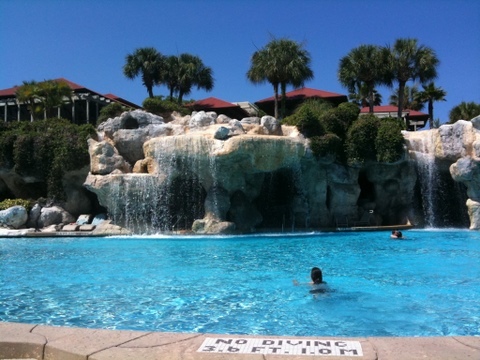 The multiple pools, with waterfalls and faux rocks and various slides and bridges, was extremely family-friendly. A lake with boats, a nine-hole pitch-and-putt golf course, bikes, and a bunch of other amenities make this an ideal destination for families. 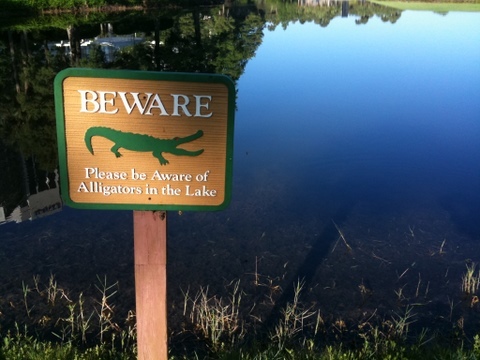 Disney World is just around the corner, but you might have a hard time getting the kids to leave the Grand Cypress. And if you’re a member of the Regency Club, there’s a wonderful lounge area for morning breakfast, snacks and drinks during the day, etc. 3. Cleanliness. This place is spotless. The grounds are meticulously maintained. This place is easy on the eyes. We saw one guy dusting a rock outside – not kidding! 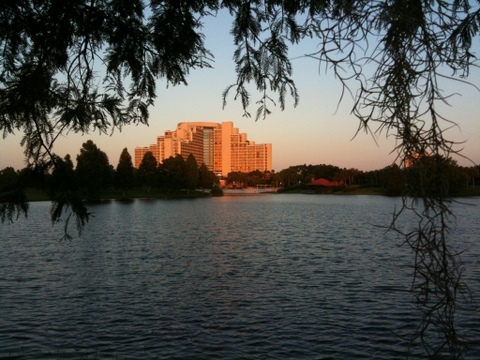 As mentioned, the Disney resorts are right nearby, and a bunch of restaurants are all within easy walking distance. But once you’re in the grounds, you feel like you’re enclosed in a very pleasant, self-contained little world. A series of pictures from our all-too-brief stay are below. 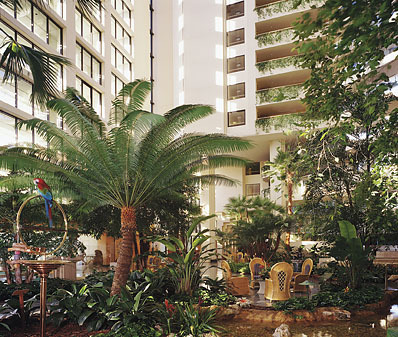 I highly recommend this resort for anyone looking to stay in the Orlando area, whether or not you have kids along. Delightful. For companies being “disrupted” by the new networked communications culture we’re entering, it can all seem like a major threat. It’s an opportunity. Better still, it’s a fountain of opportunities – if you look forward and not backward. Pandora’s box is wide open, and we’re in the midst of a revolution. Continual disintermediation. Unlimited self-expression. Bottom-up community-building. Personal control. This is not just social media. It’s the tide of technology driving point-to-point, peer-to-peer, person-to-person real-time access. It’s time to stop thinking about “companies,” and to realize that the new, more organic, more human and evolving structure will be the networked organization, in whatever form(s) that takes. I, for one, welcome it! It was our 29th anniversary dinner. We’d driven past this restaurant (Tabor Road Tavern in Morris Plains, NJ) many times, and finally decided to try it out. When we walked in, we thought the place looked pretty cool – nice design, pleasing atmosphere, unobtrusive music. By the time we walked out, we were raving fans. How did that happen? Background: both Sandy and I have worked in restaurants in the distant past. We try not to be too picky, but once you’ve waited on tables, you know what good (or bad) service is all about. It takes a lot for me to become a raving fan of any restaurant. 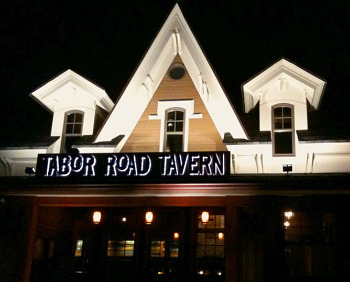 The waiter introduced himself, and then, to level the playing field, he asked to know our names – and also inquired if this was our first time at Tabor Road Tavern, and if there was a special occasion. He was friendly, knowledgeable about the menu offerings, and efficient, as well as glad that we had come to celebrate our anniversary. During the course of our dinner (and the food was exceptional, by the way), we were attended to by the busboy, the back-waiter, the waiter, the hostess, and two managers – each of them bringing what was ordered or checking in to see how things were. It turned out that the hostess was a gal we knew from church, so she had a bit more history with us. 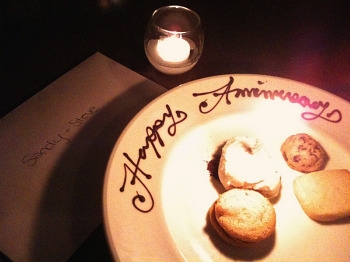 We had a wonderful meal, and ordered a dessert to share, but before it came out, this plate was brought to our table, with various treats, a candle and the words “Happy Anniversary” written in chocolate. And a handwritten, personalized card, wishing us well on our anniversary. I was dumbfounded. We weren’t regular patrons – in fact, we had walked in without a reservation. The food was great. The wine list was top-notch. The service was exceptional. But here was the bottom line – we were made to feel very special. And that sort of restaurant experience does not happen by accident. Will we be regular patrons now? Of course – we’ve had many meals out in our years of marriage, but I can count on one hand the ones that rank as memorably “epic.” The Tavern is not inexpensive, but for the level of service that was given, I happily paid the bill. And now happily memorialize the event with a blog post. Other service organizations, take note – run-of-the-mill customer service gets you forgotten. Epic efforts just may get you immortalized.